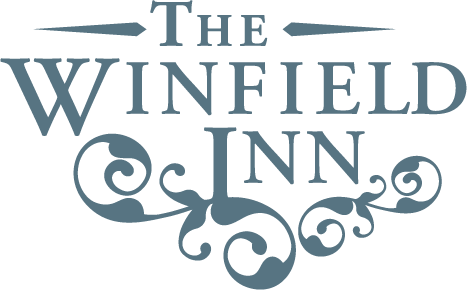 "The beauty of The Winfield Inn took our breath away." I don't even know where to start...We are fresh off of our wedding weekend - And still on a total high! I can not even begin to count the number of times I raved to our guests about how fantastic our experience was with TWI and that I shared "I would have my wedding here again in a heartbeat!" My husband and I live in Dallas. We chose to have a Hill Country wedding in Kyle because it is our "special place." We've visited a local bed and breakfast in Kyle many times over the years and cherish the relaxed vibe we get when in Hill Country. We wanted an equally comfortable feel for our wedding and were looking for a wedding venue that could convey this and share the awesomeness of Hill Country to our (mostly) out of state guests. We had a long list of venues to visit, but TWI was only our second stop in wedding venue visits - that was all we needed! We didn't even bother continuing down the list. The beauty of TWI took our breath away. You get so much bang for your buck by having a wedding here and the attention given to us from the staff was priceless. TWI has EVERYTHING for you: gorgeous grounds, covered ceremony options in case of rain (so you don't have to worry about renting tents ($$$)), tables, chair, glass and place settings, linens, in-house catering, in-house wait staff and bartenders, day-off coordinators (included in our rate), loads of decor items that you can borrow, gorgeous bridal/groom suites...the list goes on and on and on....And did I mention it's BYOB?? Do not go through the hassle of having a wedding at a place where you have to rent all of the items listed above separately. You will go CRAZY! Make it easy on yourself. Have an event at TWI and you won't regret it...I promise!! For a Dallas bride planning a wedding 4 hours away, I never expected to go into my wedding weekend so relaxed - It has everything to do with TWI (and a loving husband and family ;)).